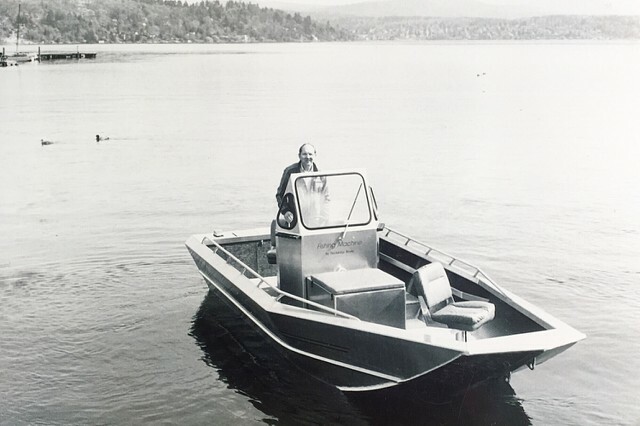 River Jet Boating Forum • View topic - Wooldridge boats 100 yrs. 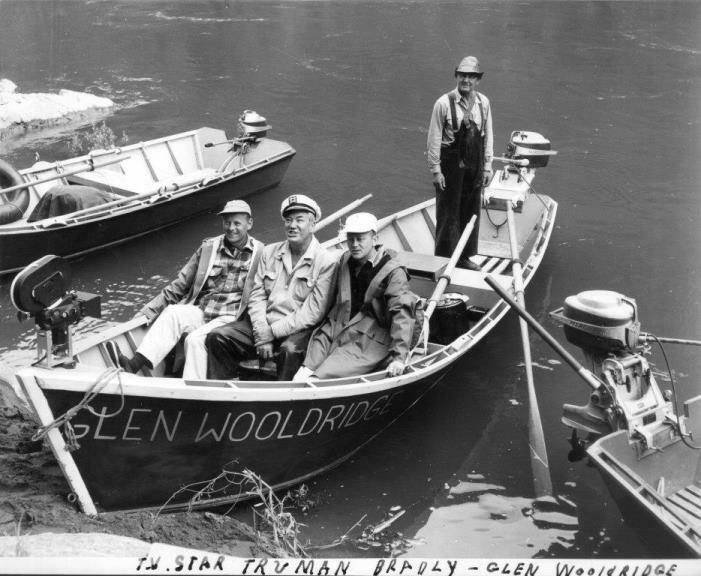 Re: Wooldridge boats 100 yrs. Bob Wooldridge back in the 80’s in a motor forward center console Fishing Machine. Love it! That's pretty much exactly what I'd like myself. 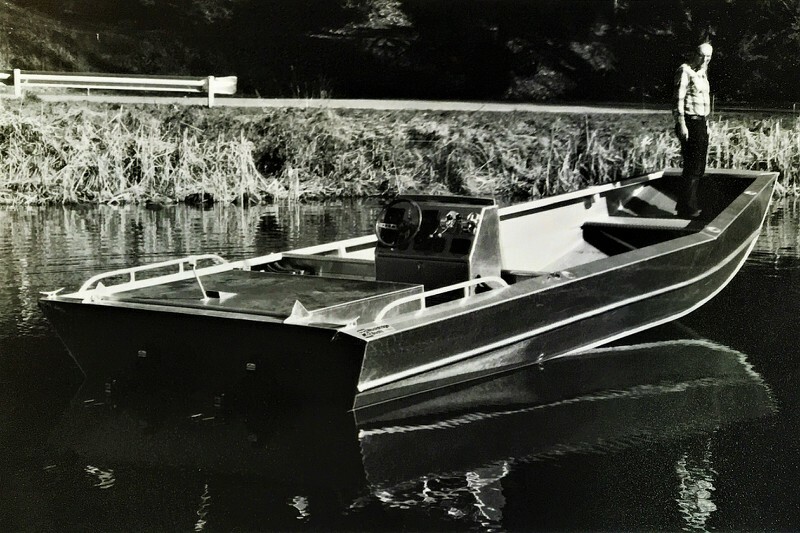 Any more details on this "motor forward" boat? 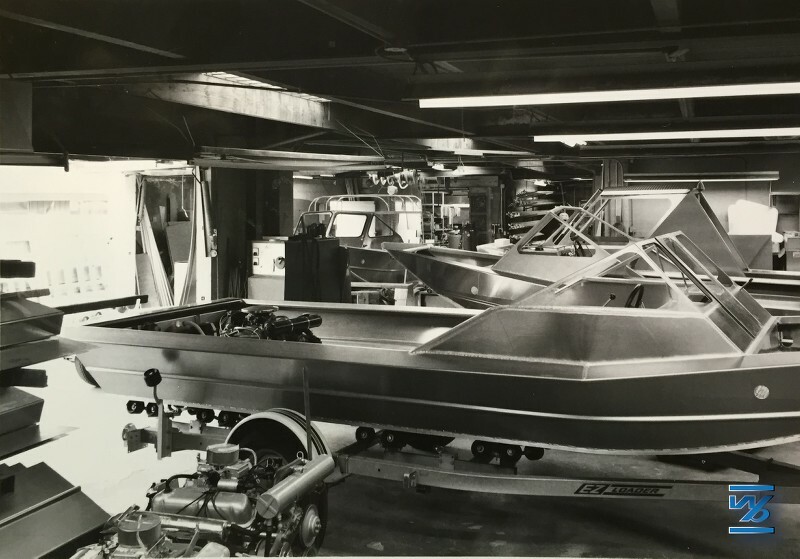 Cool old photo from the late 70's of the old factory with boats in various stages of completion. Boat is a Classic with low sides, behind that a classic with high sides, way in the back of the photo is a custom workboat. Neat snapshot! glen wooldridge wrote: Cool old photo from the late 70's of the old factory with boats in various stages of completion. Boat is a Classic with low sides, behind that a classic with high sides, way in the back of the photo is a custom workboat. Neat snapshot! Glen, Were the High side boats the start of 2 windows vs 3 or were the low side boats all 3 window. 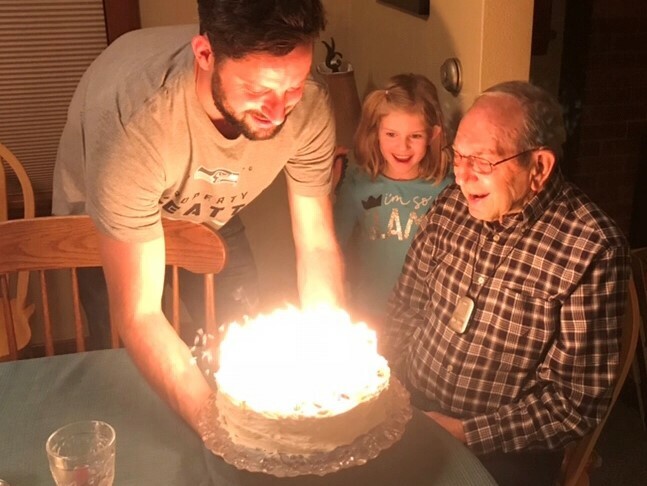 Bob Wooldridge celebrated his 93rd birthday this week! He was instrumental in moving the company to Seattle back in 1973 from Grants Pass, OR. Bob still drives himself to the shop where he makes the rounds checking in with the crew. 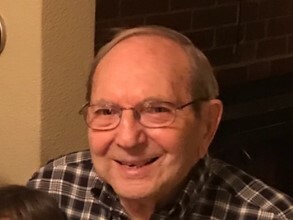 Bob is looking good for 93. It's all that clean living and jet boating. Eagle1 wrote: Bob is looking good for 93. It's all that clean living and jet boating. 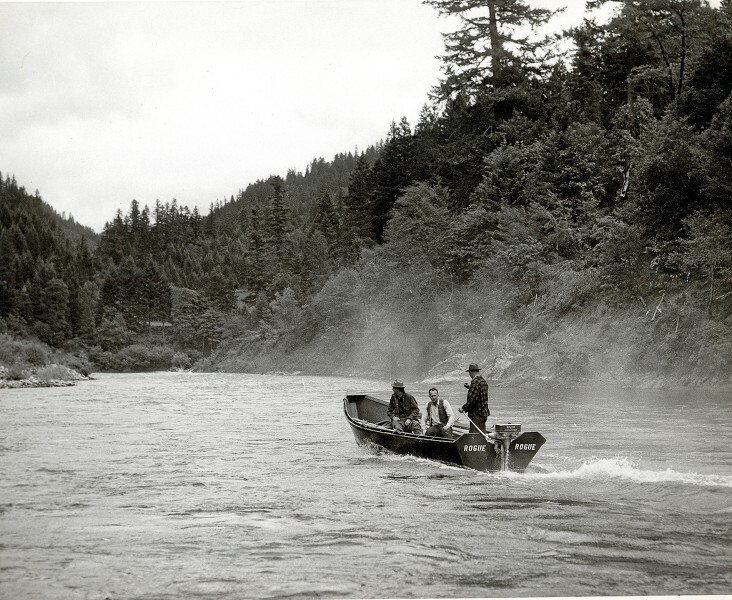 Photograph from the book: The Rouge, A River to Run. 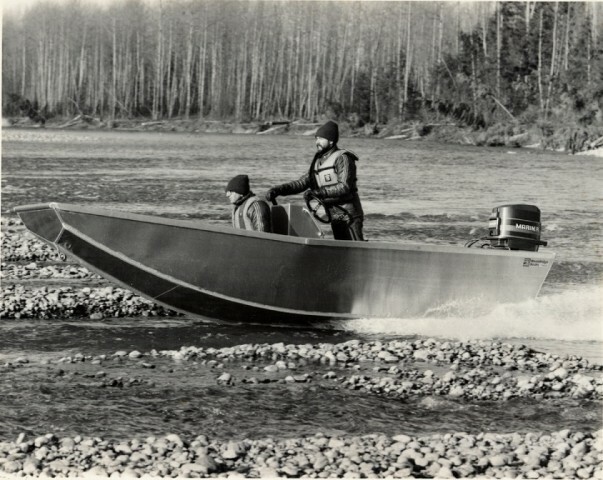 Bob an Glen running the Skykomish River in a very early tunneled Wooldridge Plus Boat, powered by a 80hp Mariner outboard. 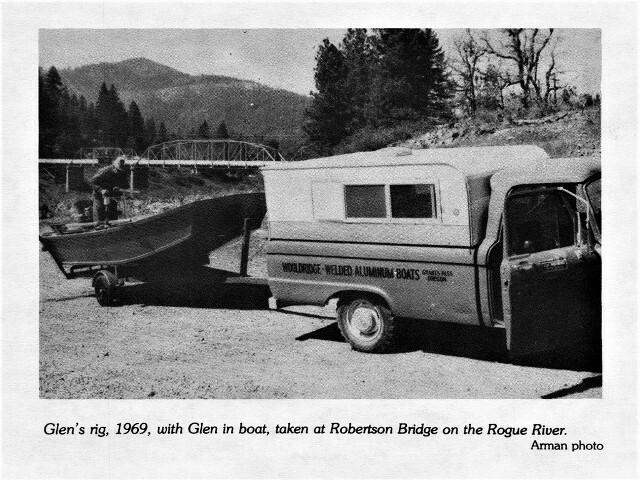 Glen Wooldridge guiding a trip down the Rogue River. Over time he had the chance to take many celebrities and presidents down rivers. This trip it was Truman Bradley. Truman stared in many movies of the day, but his radio announcing is probably what he is best known for. The Frank Sinatra Show, The Red Skelton Program and The Burns and Allen Show, to name a few. Also notice the camera mounted on the bow, possibly the first selfie captured on film! Ok, maybe not. 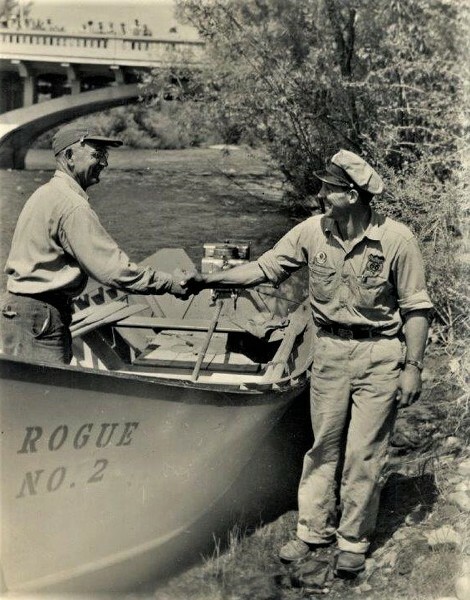 Photo from the early days of Wooldridge Boats and Glen Sr. Running up the Rogue River. Those were some days! Do you have a that pic of Shasta Costa rapid that was blasted on the Rogue? We are doing a 12-15 boat run in May and would like to look at pic. Not fermilure with that. Sounds like fun though. 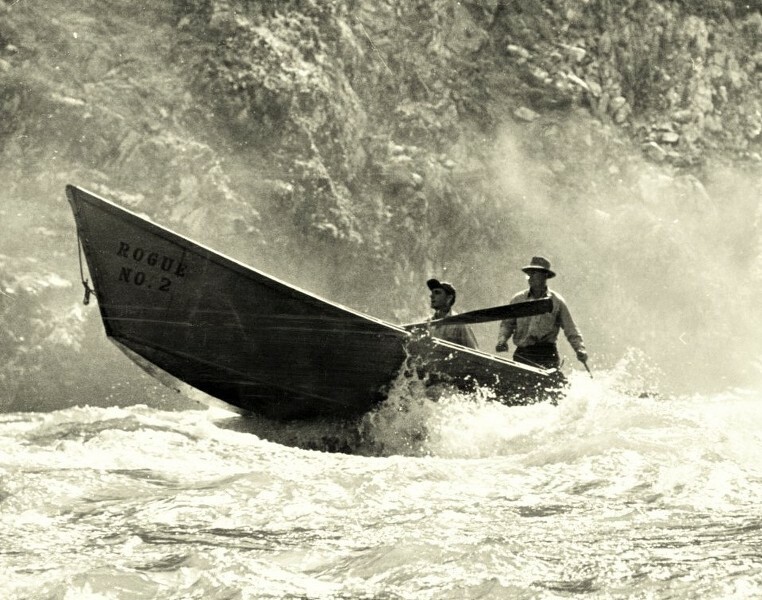 Glen Wooldridge and Charley Foster during a shakedown run on the Rogue in 1947 in preparation for the 1948 trip up the Salmon River. We grow accustomed to the feat, and I think in many ways we lose the sense of amazement of what these folks were doing back then. There were no handheld radios or cellphones to call for help when you banged your prop or punched a hole in the hull of your wooden boat. No, you relied on your skills, your knowledge of the river and the good Lord seeing you through! Yeah, those were the days! Glen getting a congratulatory handshake in Salmon City after completing his 1948 run up the Salmon River. 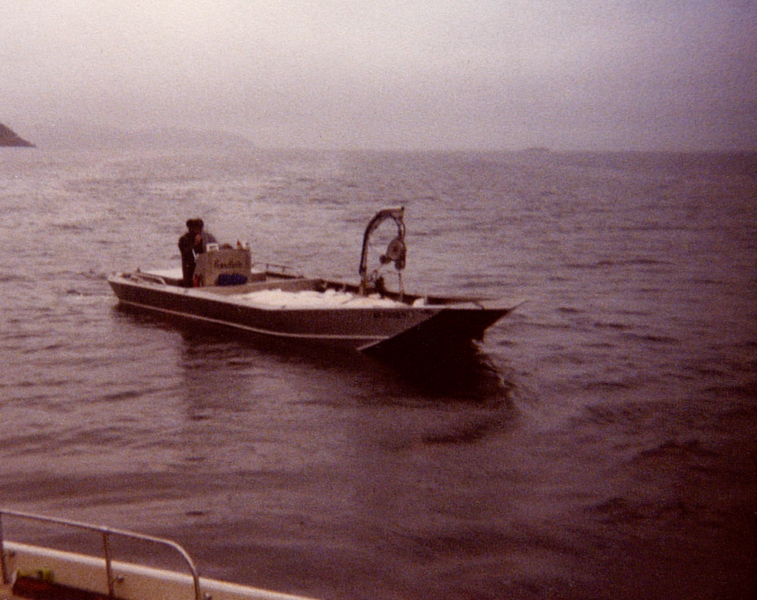 This boat is 1 of 2 Custom Classics built in the early 80’s for longline Halibut fishing in the waters around Kodiak Island, Alaska. 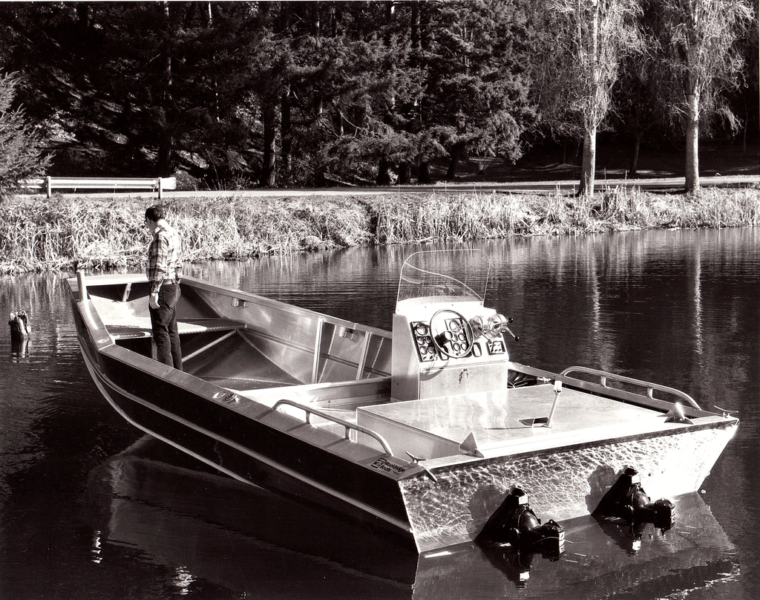 Powered by twin 4-cyl Mercury 470 I/O engines these 25’ long 9’ beam boats were true workhorses! Check that load of fish in that last picture! 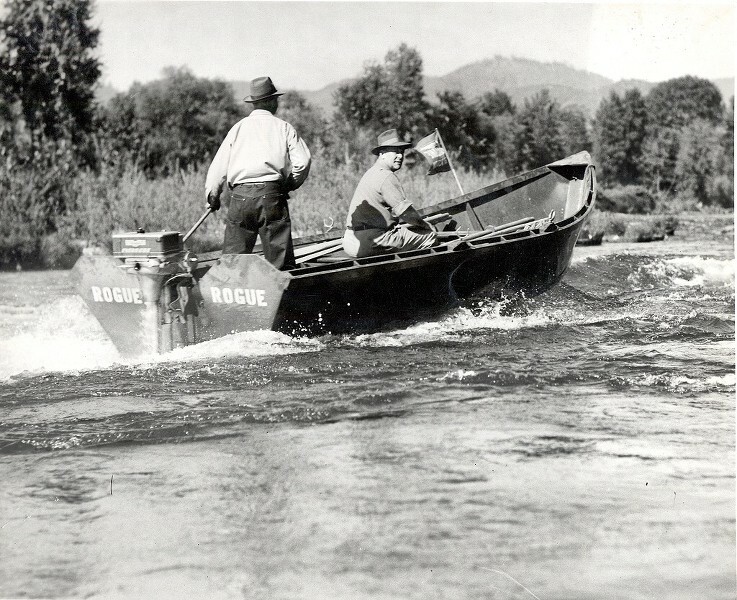 Glen Wooldridge and Hugh Brown running on the Rogue in the late 1940’s. Hugh owned a lumber mill in the Apple Gate Valley. From time to time he would get a spruce tree in at the mill and he would call up Glen. Glen liked the durability of Spruce and would have those milled into 3/4” thick planks to cover the plywood hull for extra protection! Think of it as the 1940’s version of UHMW! Ha! 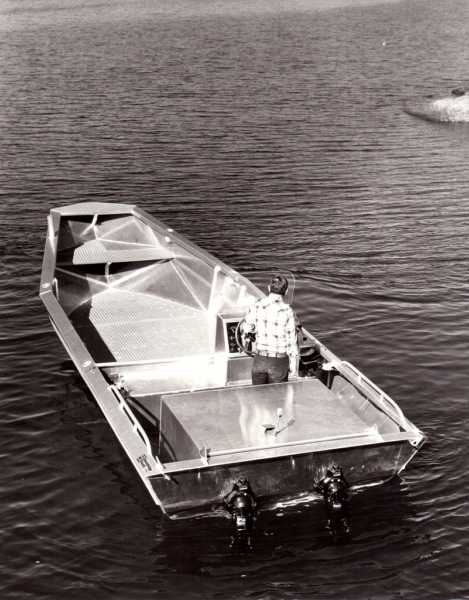 Boat was powered by a 33hp Evinrude. 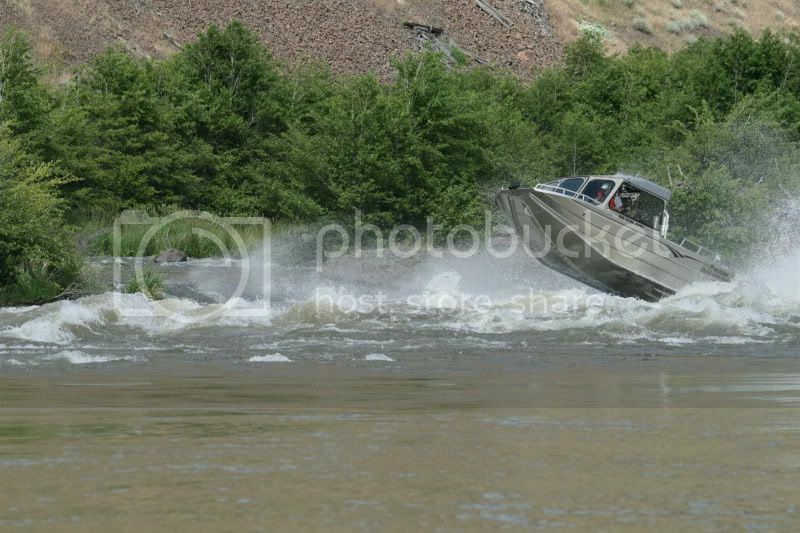 Amazing history lesson and anyone that's shares a passion for jet boats should read. I recently read "Rogue a river to run" and had the pleasure of taking my boat to the river. Amazing trip and after reading the book and being on the river you can just feel the presence of these first pioneers and it's humbling.